RICHMOND, VA--(Marketwired - October 28, 2016) - sweetFrog Enterprises, recently named by The Daily Meal as America's Best Frozen Yogurt, has announced its selection of fun frozen treats is expanding this fall with the introduction of Vanilla frozen custard. sweetFrog fans are now able to enjoy this delicious custard option at all locations. sweetFrog's CEO, Patrick Galleher, says custard's enduring legacy and unique, long-lasting composition make it a perfect fit for sweetFrog. "Frozen custard has been a family favorite ever since it was introduced to Americans in the early 1900's," says Galleher. "In the decades since, Americans have developed a serious craving for these frozen custard treats. In fact, while it's similar to ice cream, many people prefer custard because it's composition of eggs, cream and sugar makes it smoother and allows it to stay cold longer. These same qualities make custard the perfect fit for sweetFrog as we're dedicated to introducing products custom-built to satisfy customer cravings." Custard was first developed back in 1690, but was introduced to Americans in 1919 on the Coney Island Boardwalk. Ice cream vendors Archie and Elton Kohr were found adding egg yolks to ice cream to keep it colder longer and make it smoother. It proved to be an overnight success as they sold more than 18,000 cones on the boardwalk during the first weekend. Soon after, frozen custard was introduced to a wider audience at the 1933 World's Fair in Chicago and the trend took off. In the decades since, many restaurants have successfully introduced custard items to menus. While it started as a trend, custard has proven its longevity as American customers continue to seek out the best custard in their local communities. "We are excited to expand our delicious line of frozen treats," said Matt Smith, sweetFrog's Chief Marketing Officer. "Customers visiting sweetFrog stores will love the creamy smoothness and rich flavor of our new vanilla custard. The wide variety of choices just keep getting better with this exciting new offering!" 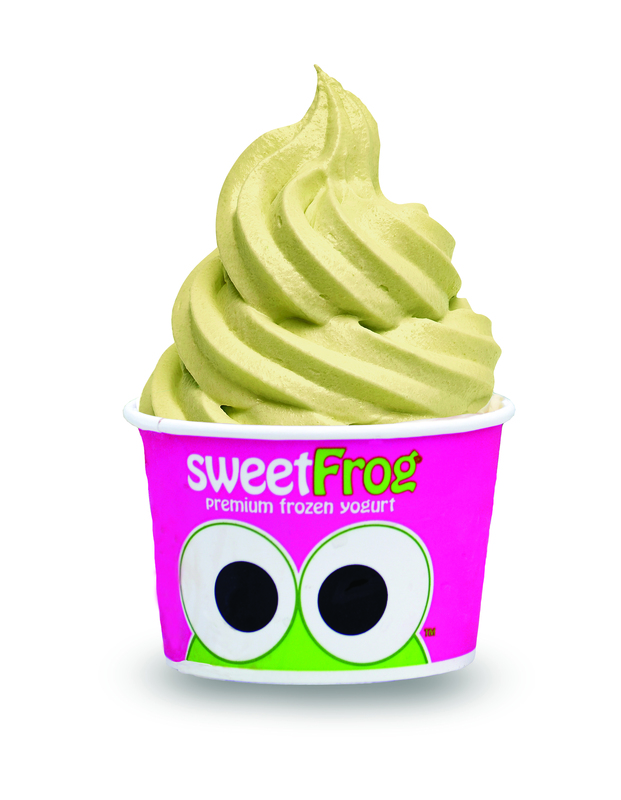 For more information about sweetFrog Frozen Yogurt, please visit www.sweetfrog.com. sweetFrog (http://www.sweetfrog.com) is the fastest growing premium, all natural, self-serve frozen yogurt restaurant company in the country. With a wide selection of premium frozen yogurt flavors and fresh topping choices, sweetFrog was named Best Frozen Yogurt in the USA by The Daily Meal in 2014 and 2016. sweetFrog has 340 stores including both company-owned, franchise and independently licensed locations either open or under contract in twenty-four states in the U.S, Dominican Republic, United Kingdom and Egypt. The company was founded in 2009 and is based in Richmond, Virginia. sweetFrog prides itself on providing a family-friendly environment where customers can enjoy soft-serve frozen yogurt, gelato and sorbets with the toppings of their choice. The company was founded on Christian principles and seeks to bring happiness and a positive attitude into the lives of the communities it calls home. sweetFrog has announced the addition of vanilla frozen custard to its selection of fun frozen treats.